A screen basket within a cylindrical enclosure separates good fiber from contaminants. Horizontal, open screens can be used as secondary knotters to recover fiber from the primary rejects stream. By re-screening rejects from one stage, the overall yield of the screening process can be increased. In the kraft chemical pulping process, wood chips are "cooked" in a mixture of alkaline chemicals in large pressure vessels called digesters. 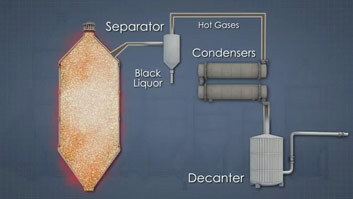 Due to irregularities in the wood, and contaminants in the incoming wood, not all of the material coming from the digester is suitable for papermaking. 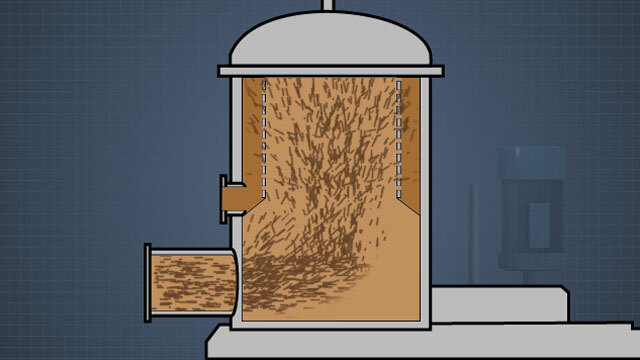 Brown stock screening is that part of the pulping process where oversized and contaminant particles are separated from good papermaking fibers. 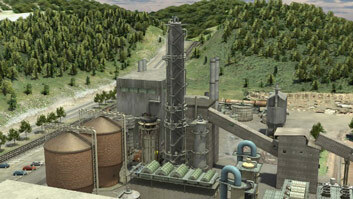 Pulp exiting a kraft digester is known as brown stock. Unwanted material, or debris, is generally removed in two steps, deknotting and screening. What is the purpose of brown stock screening? The purpose of brown stock screening is to pass as many flexible usable fibers through to downstream processes while removing oversize contaminants. What is the advantage of having a secondary knotter? A secondary knotter processes rejects from a primary knotter and increases overall screening yield by recovering usable fiber. 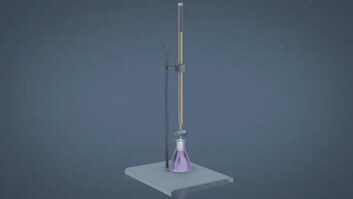 What is the role of dilution water in a pressure screen? Dilution water added to the lower part of a screen helps maintain good separation of fiber within the screen. What is one way that pressure screens are kept from plugging? 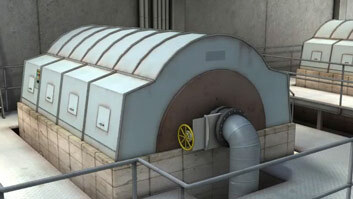 Most cylindrical screens have a rotor which moves relative to the basket and creates pressure pulses. What is a cascaded screening system? 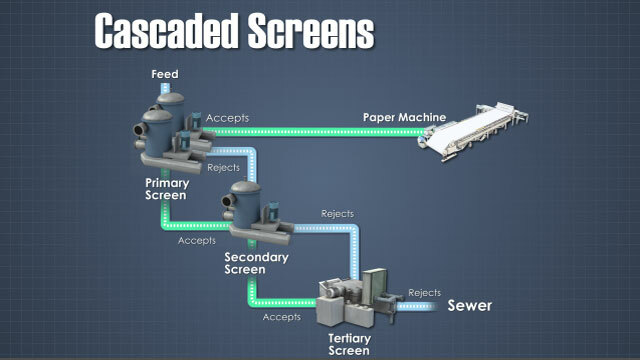 A cascaded screening system is one in which the rejects of one stage of screens are re-screened in order to increase the overall screening yield. A rotary knotter is a coarse pressure screen. 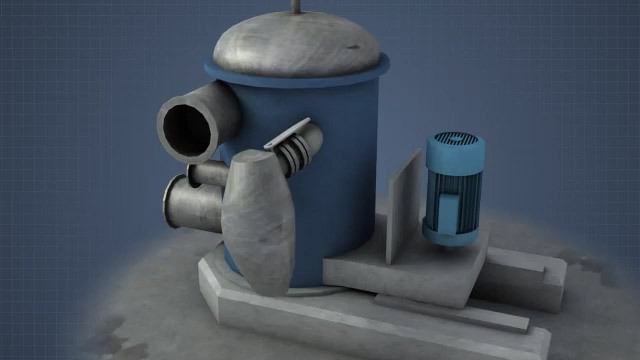 It consists of a perforated cylinder or basket held within an outer pressurized housing. 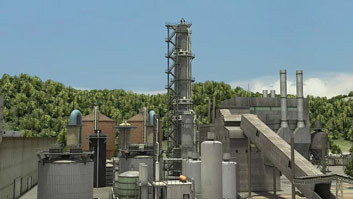 Feedstock enters tangentially at the top of the vessel. This creates a swirling action which helps throw dense trapped material outward. The material which stays against the wall goes into a junk trap. This is a holding chamber outside the main screen which is periodically isolated from the screen and its contents discarded. The stock flows down along the outside of the screen basket. Small accepted fibers pass in through the basket and flow to the bottom of the screen and out of the accepts port. 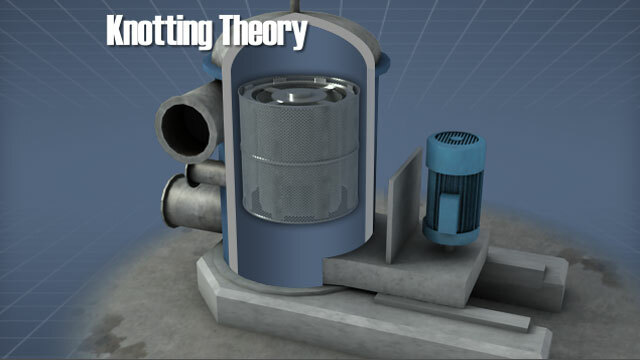 The particles which do not pass through the screen work their way down the outside of the basket and flow out the rejects port.